Experience Poe like you never have before with the riveting and innovative performance of Dark Heart of Poe. Conceived by award-winning director, Andrew James. Spend the perfect night with the Master of the Macabre, Edgar Allan Poe. "Creepy, intimate and extremely well done piece of theatre." "Pure pathos with realism. I felt as though I was transported to the 1840's! 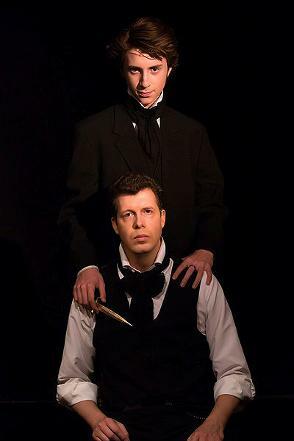 If you are a Poe Aficionado, you'll love this intimate and frightening staging of the master of Gothic Horror." "Amazing isn't the word. Stunning, surprising, thrilling, riveting to name a few."